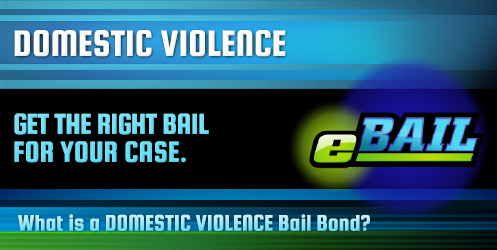 eBAIL provides Fast, Cheap, Online Domestic Violence Bail Bonds in Las Vegas, Nevada 24/7. Also serving Domestic Violence Bail Bonds in North Las Vegas, Henderson, Boulder City, and Nationwide. When someone is under accusation regarding domestic violence in Las Vegas, it typically ends in an arrest. After a preliminary hearing, the detainee may be able to go free until trial. This will only occur after the payment of the bail amount that is set by a judge. As an alternative, a percentage of this bail amount (15%) may be paid in the form of a Domestic Violence Bail Bond. The non-negotiable 15% fee which is set by N.R.S. is paid to a licensed bondsman. The bondsman will then contact the jail and guarantee the total amount of bail. The bondsman also guarantees the detainee will return for future court dates. What is a Domestic Violence Bail Bond? Like other types of bail bonds, a Domestic Violence bail bond can be used in place of bail to release a person accused of a crime until the trial. A percentage of the bond amount is paid to a bail bondsman who will then pay the full amount of the bail for the defendant to be released. Which Jails Accept Domestic Violence Bail Bonds? After an arrest, the accused is booked into jail to wait for a preliminary hearing where the bail amount is set by the judge. There is nothing that can be done regarding release while waiting for the preliminary hearing. Once the bail amount is set, there are several ways that a defendant may be released from jail before the trial. It is possible to be released from jail if the full amount of bail set by the judge is paid. While bail amounts may run thousands of dollars, most of this money can be returned after trial minus any costs. A bail bond may be purchased from a qualified bail bondsman for 15% of the amount of bail. The bail bondsman will then pay the full amount of bail to the jail for the accused to be released until the trial. While this 15% cannot be returned even after trial, it is payment for the work the bondsman does in order to get the defendant released from jail. A criminal defense attorney may be able to have the amount of bail reduced or may even have it removed. However, hiring a lawyer costs money in itself. In addition, there may be several days or several weeks of waiting in jail until the attorney can have a hearing with the judge to change the amount of the bail. It takes some time to get released from jail. A defendant must wait until a bail amount is set after the preliminary hearing. Once the bail is paid or arrangements are made with a bail bond, the release process can begin. The release process itself takes anywhere from 6 to 16 hours but may take longer on holidays or weekends. It may also take more time depending on issues happening within the jail. 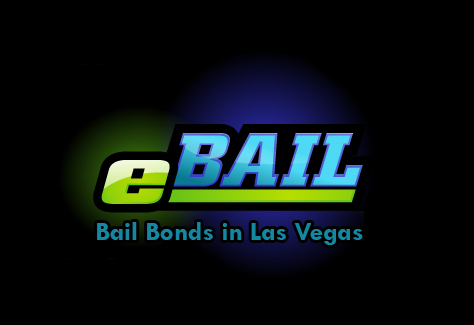 When choosing a Las Vegas Bail Bondsman, eBAIL is qualified, fast, and convenient. All transactions may take place over the phone. Payment of the bond may also take place over the phone or even online. The bondsman at eBAIL will do all of the necessary work and arrangements regarding the bail bond, from determining the jail where the defendant is being held to finding out the amount of the bail to actual payment of the bail at the holding facility. For those who cannot pay the 15% payment requirement, alternative payment arrangements may be available. eBAIL is fully licensed and accredited by the Better Business Bureau.